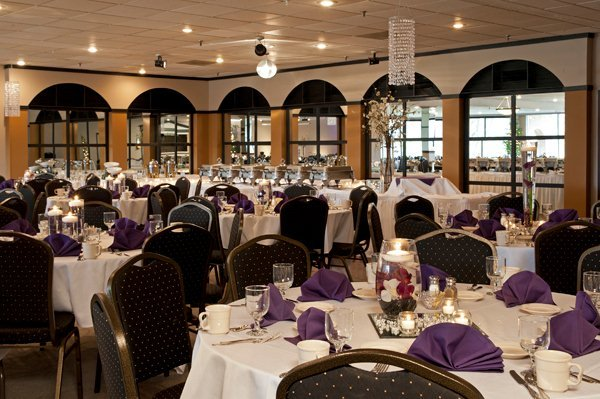 Rent Bluff Banquet & Conference Center | Corporate Events | Wedding Locations, Event Spaces and Party Venues. We invite your group to come celebrate at The Bluff for a memorable experience with a delightful view of Indian Trails Golf Course through our panoramic windows while enjoying our great food and thoughtful, attentive service. Discover for yourself why The Bluff, since 1989 has delighted our guests. The Bluff Banquet and Conference Center's outstanding array of menu selections will delight your guests whether you choose our deluxe Appetizer Buffets, our ever popular Dinner Buffets, elegant Plated Dinners or select our exquisite Chef Attended Carving or Pasta Stations.